I was actually surprised on how much I could taste the maple flavored balsamic as usually I barely notice it, but my taste testing panel at work didn't seem to mind or notice. and your other bread with the cherries too. I'm going to branch out into other flours like spelt and durum but I'm leery about whether the hubby is going to like them. He's the primary bread eater and old world/fashioned German loves his ryes! Thanks Wendy. Try just adding a little at a time of new flours and work your way up to higher percentages. I bet he will love the nutty flavor spelt adds and what's not to love about Durum flour? That looks like the perfect sandwich bread to me! 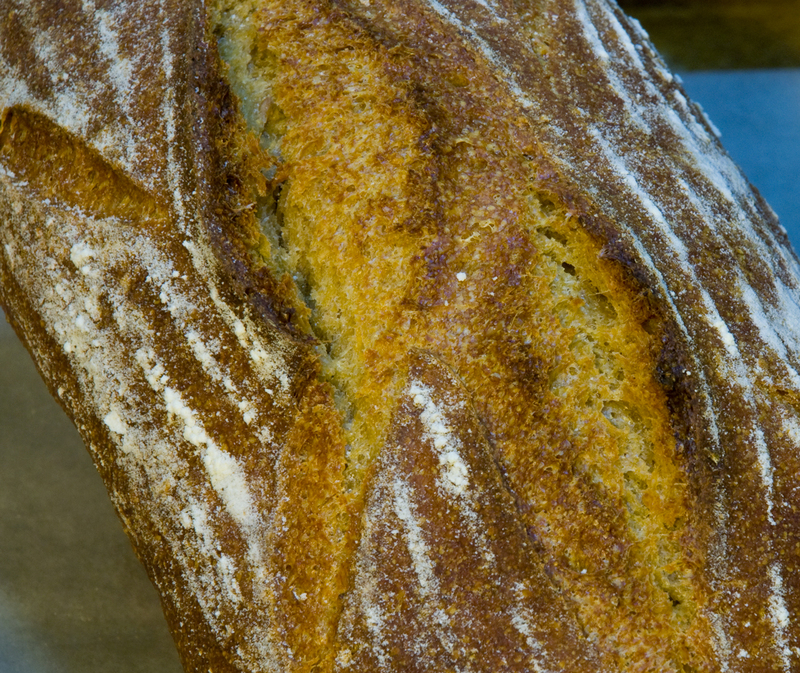 Love the crumb and that durum color, Has to be extra tasty with the sprouted durum too. Lucy loves the coring ton these too and wants to know why I can't do that. I told her he needs to get her mater a lame. \Well done with the bread and happy baking Ian - Lucy sends her best to the buddies. Thanks DA and Lucy. We spent the whole day moving dirt around and working on the lawn. Trying to get a corner of the yard prepared for a small shed. Have not even started preparing the new beds we are going to make since we cleared so much space after putting in the fence. It's supposed to get close to 80 here today which I know is not like your smoking hot weather, but it will be nice (even though I will be in an office most of the day :(). Glad you guys liked the bread and maybe Santa will bring Lucy a new lame this year! 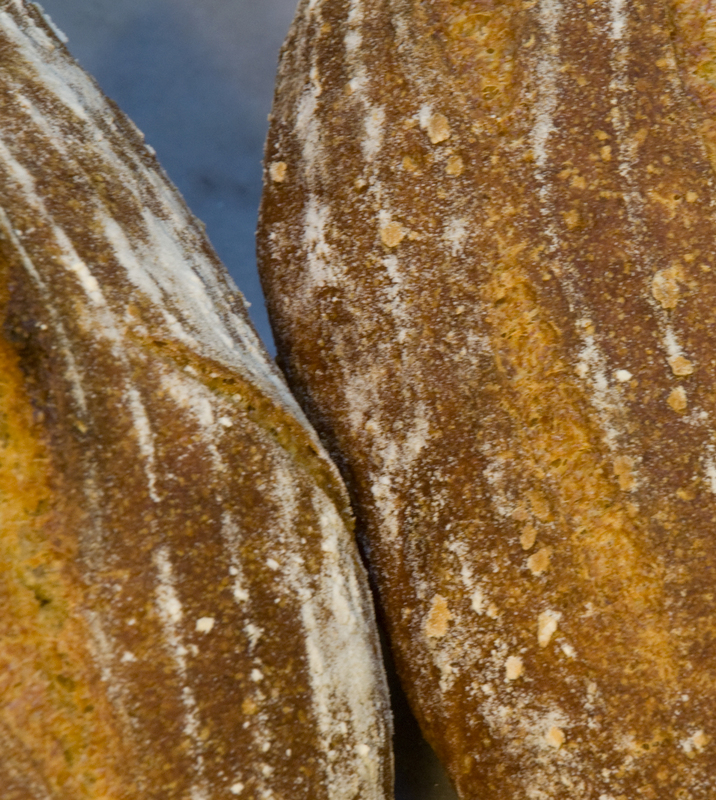 Your Durum breads always look great. 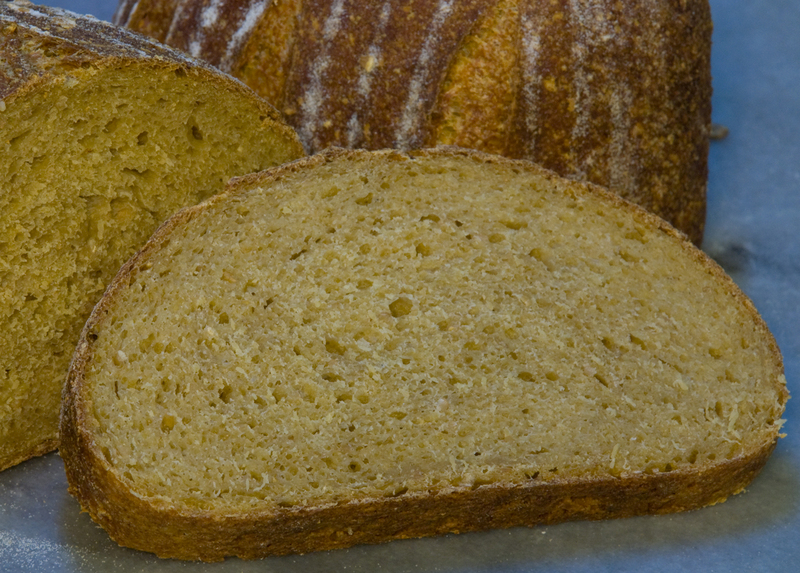 Love the texture of the crumb. Reminds me a lot of some rye breads. The color is wonderful. 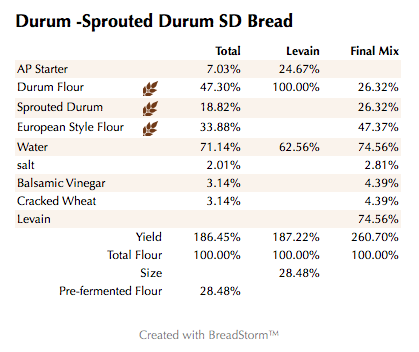 I have your durum breads on my to bake list. 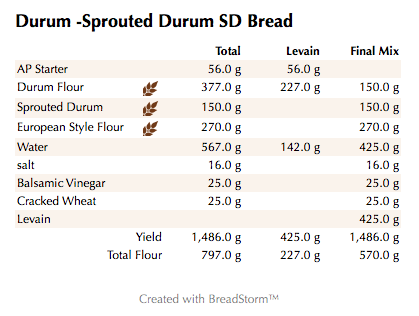 Hopefully soon I'll get one baked...I have the durum flour, but Spring garden planting is a priority. Thanks for sharing. Thanks Betty for your kind words. Glad you like this one and look forward to hearing how your Durum bread comes out when you give it a try. I hear you on the gardening....I spent most of the weekend digging etc. and I'm still not even close to be done. We put a fence in the backyard for the doggies so I have been cleaning up areas that we usually left alone to give us some privacy but now its a ton of work. Anyway, look forward to hearing and seeing your future bakes once you have a chance to sneak one in.